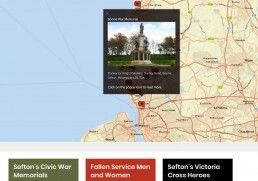 Sefton War Memorials - 6770 Design. Web. Advertising. 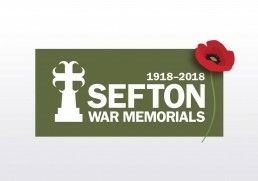 To mark the centenary of the end of World War One Sefton Libraries applied for a Heritage Lottery grant to fund the Beyond the War Memorials project. 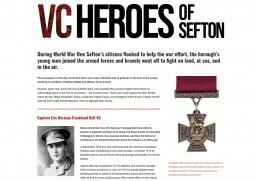 The object of the project was to honour the men and women listed on the boroughs 11 Civic War Memorials and find the stories behind each name. From the moment the brief arrived for the ‘Beyond the War Memorials’ project we were intrigued. Upon visiting Bootle’s War Memorial first to get a feel for the task ahead it soon became clear that this project was going to take us through lots of different emotions. 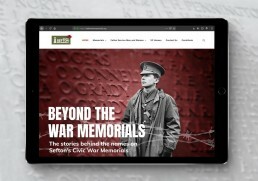 We created a logo to mark the centenary of the end of The Great War, photographed all 11 memorials and designed and built a website to accommodate the names and details of around 4000 fallen Service men and women.